Avengers star Anthony Mackie is pushing for his character to get a classic look. Mackie plays Sam Wilson, aka the Falcon. When the Falcon debuted he wore a green costume, but he's most recognizable in red and white. The Marvel Cinematic Universe has preferred to outfit him in dark, tactical gear. Mackie says he's been campaigning for a more superhero look. "I'm pushing for it, I'm pushing for it," Mackie says. "I've been pushing for spandex for eight years, they won't give it to me." Mackie also touched on where he and the other Marvel heroes are at when Avengers: Infinity War beings. This is following Captain America: Civil War. "Coming off such a huge battle that these characters are coming off of, everybody's trying to find their footing again," he says. "Everybody's trying to figure out where they are and how they'll be accepted and looked upon, not only by the rest of the world but by the other heroes since we've been separated. So that's kind the overall idea of where we're coming from and how do we get out of that to save the world." Much earlier on in the Avengers: Infinity War process, Mackie teased Falcon's fate. 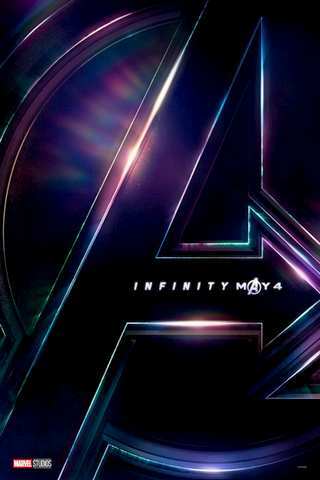 Avengers: Infinity War currently has a 4.39 out of 5 ComicBook.com User Anticipation Rating, making it the most-anticipated upcoming comic book movie among ComicBook.com Users. Let us know how excited you are about Avengers: Infinity War by giving the movie your own personal ComicBook.com User Rating below. Avengers: Infinity War opens in theaters on May 4th. Other upcoming Marvel Cinematic Universe movies include; Black Panther on February 16th, Ant-Man and the Wasp on July 6th, Captain Marvel on March 8, 2019, the fourth Avengers movie on May 3, 2019, the sequel to Spider-Man: Homecoming on July 5, 2019, and Guardians of the Galaxy Vol. 3 in 2020.